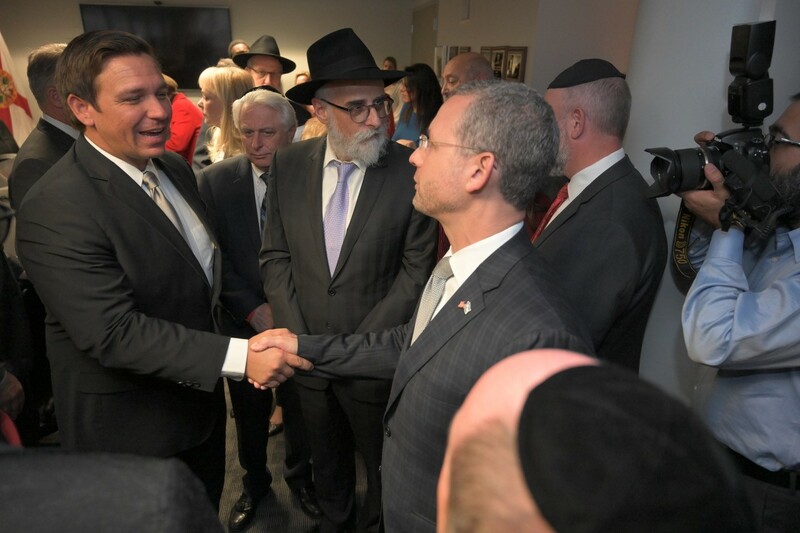 Boca Raton, Fla. – Today, surrounded by a group of bipartisan legislators and faith leaders, Governor Ron DeSantis announced several actions his administration is taking to affirm Florida’s steadfast support of the State of Israel. 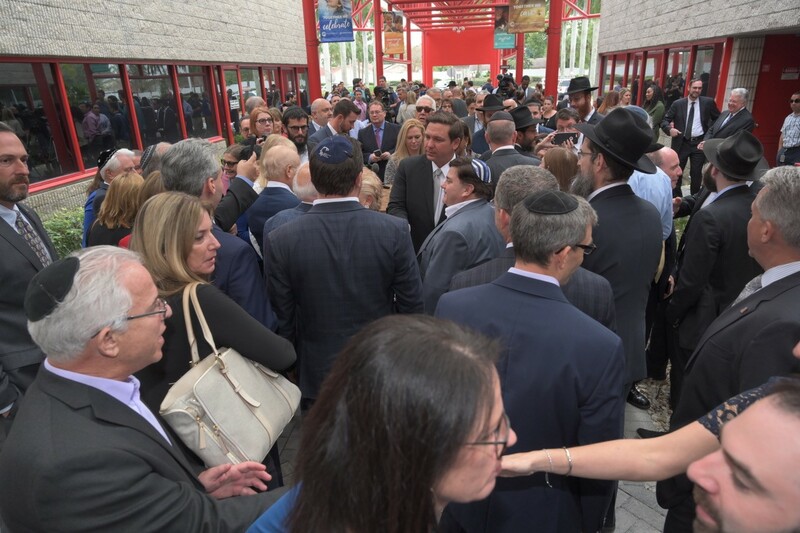 At the event hosted by the Jewish Federation of South Palm Beach County, Governor DeSantis outlined three major steps Florida will take to stand with Israel. 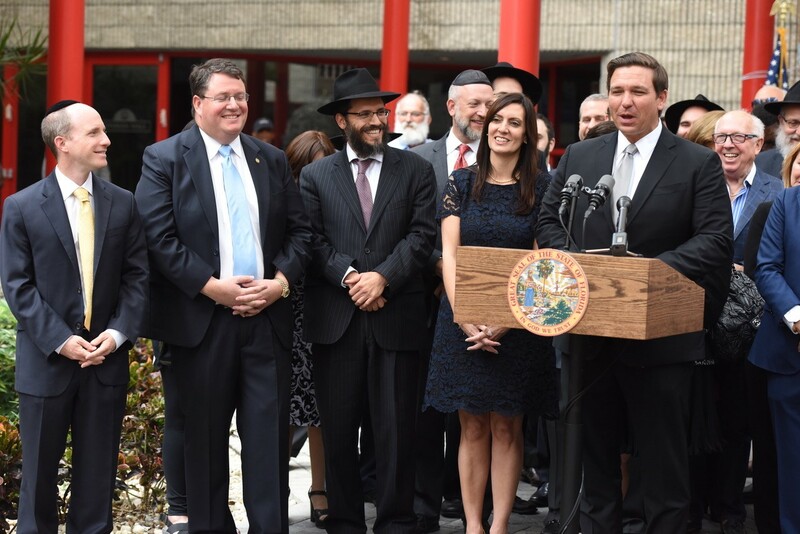 Governor DeSantis is calling for a minimum of $2 million in recurring funding for security for Jewish Day Schools. Following the tragic anti-Semitic attack in Pittsburg in October 2018, Floridians should feel assured that students and staff are safe at Jewish Day Schools throughout the state. Parents should not feel worried about sending their children to a specific school based on their faith and Governor DeSantis looks forward to working with the Legislature on this important issue. Governor DeSantis wrote a letter instructing the Department of Management Services (DMS) to prohibit state workers and contractors from being reimbursed for official travel expenses incurred through the services of vacation rental company Airbnb. On November 19, 2018, Airbnb issued a statement outlining a policy that would no longer allow the rental of approximately 200 listing in Israeli settlements in the West Bank, a clear discrimination against the Israeli people. In addition to the Governor’s letter, the State Board of Administration (SBA) is reviewing whether Airbnb should be placed on the scrutinized company list. Once the review is completed, they will issue a report to SBA Trustees Governor DeSantis, Attorney General Ashley Moody and CFO Jimmy Patronis. Governor DeSantis also wrote a letter to Florida Division of Emergency Management (DEM) Director Jared Moskowitz to ensure hurricane disaster survivors will not be impacted by this Airbnb directive. 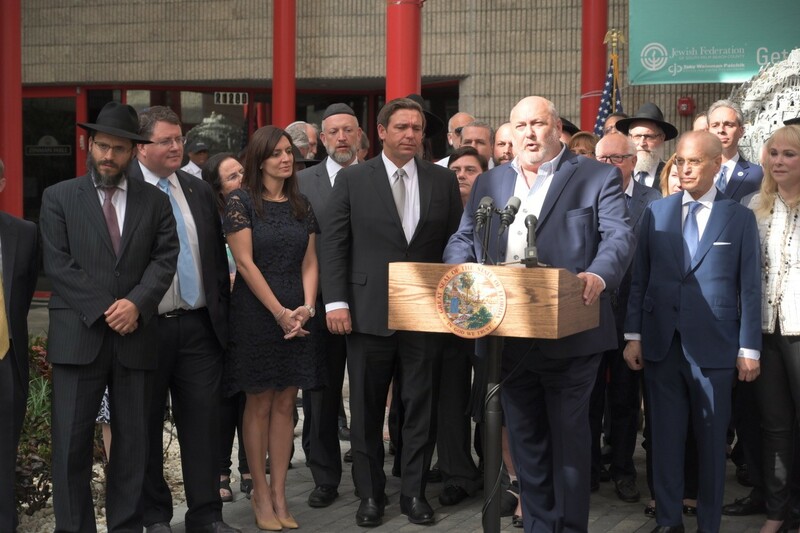 Additionally, Governor DeSantis announced that his first international trade mission will be to the State of Israel, keeping a promise made during his campaign for Governor. The trip will take place after the Legislative Session in May, and members of both parties in the Florida House and Florida Senate will be invited. The focus of the trip will be to expand commercial ties between Florida and Israel as well as to learn from innovative research from Israeli scientists to combat issues facing Florida such as red tide. To see Governor DeSantis’ letter to DMS, click HERE. To see Governor DeSantis’ letter to DEM, click HERE.